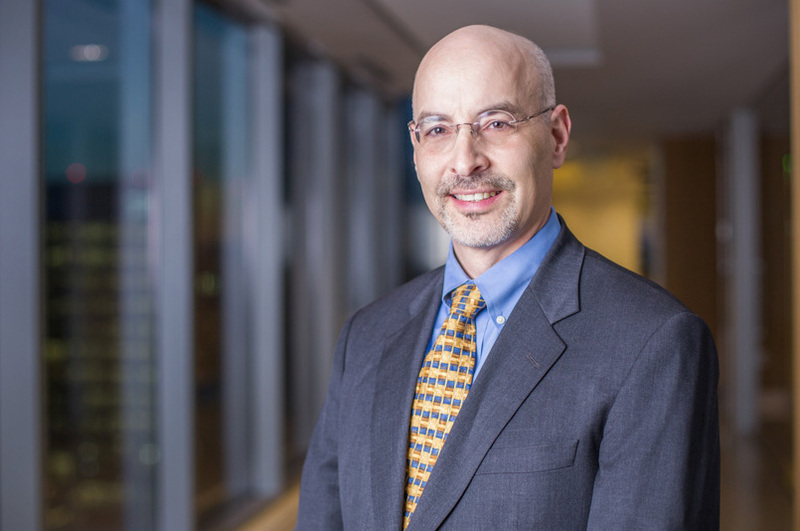 Lawrence Kolodney is a Principal in the Boston office of Fish & Richardson. Mr. Kolodney specializes in handling complex intellectual property matters, including litigation, post-grant review, due diligence and counseling work, with particular emphasis on power electronics, software, and data networks. Mr. Kolodney’s clients know him for his responsive, analytical, and business-focused legal advice throughout their matters. He has litigated patent disputes in nearly every major patent venue across the country. Outside of his day-to-day practice, Mr. Kolodney serves as the Chair of Fish’s pro bono program. Mr. Kolodney led the charge to formalize Fish & Richardson’s pro bono program in 2007. Over the following ten years, the firm saw a 10-fold increase in pro bono hours handled by attorneys. Prior to joining Fish, Mr. Kolodney served as a law clerk to the Honorable Nancy Gertner of the United States District Court for the District of Massachusetts, and to the Honorable Benjamin Kaplan of the Massachusetts Appeals Court (recalled retired Justice of Supreme Judicial Court). Graduate of National Institute of Trial Advocacy Intensive Trial Skills Program (1999). Co-instructor for Patent Litigation Workshop at Harvard Law School, Spring 2013, with Bob Hillman and Frank Porcelli of the Boston Office. Adjunct faculty member at Suffolk law school co-teaching “Patent Law” with Robert Hillman (2001-2002). Presented “Business Method Patents: What You Don’t Know Can Hurt You” as panelist at Massachusetts Software Council “Hot Topics” Program (1999). Named to the IAM Patent 1000: The World’s Leading Patent Professionals 2016 list. Selected by his peers to be included in The Best Lawyers in America for his work in the practice areas of Litigation – Intellectual Property and Litigation – Patent (since 2013). Recognized as a 2013 Top Rated – AV® PreeminentTM Lawyers in Intellectual Property Law. Selected to Super Lawyers Massachusetts, Intellectual Property 2004 and 2013. Listed in Best Lawyers for Litigation, Intellectual Property and Litigation, Patent (2012). Named Pro Bono Attorney of the Year by the Political Asylum and Immigration Representation Project (2004). Named as one of Boston’s “Forty Under Forty” by the Boston Business Journal (October, 2002). SynQor v. Vicor (E.D.Tex.) – patent, power conversion technology. Auburn University v. IBM (M.D.Ala.) – semiconductor reliability testing algorithms. Integrated Discrete Devices v. Diodes (D.Del.) – semiconductor fabrication techniques. American Superconductor v. S&C Electric (D. Mass.) – Reactive power compensation devices. VistaPrint v. 123Print (D.Minn) – patent, online design, and print technology. Mallory v. Microsoft (D.Mass.) – patent, website user ID technology. Achates Reference Publishing v. Microsoft (E.D.Tex) – patent, product unlocking technology. Insight Technology v.Glock (D.N.H.) – patent, auxiliary devices for weapons. Insight Technology v. SureFire (D.N.H.) – patent, auxiliary devices for weapons. AllVoice v. Nuance (S.D.Tex.) – patent, voice recognition software. Cannon Rubber v. The First Years (N.D.Ill.) – patent, breast pumps. Aastra Technologies Ltd. v. CD Connect, Inc. (E.D.Tex., D.N.H) – trade secrets, telecom. Axeda Systems v. Questra (D. Mass.) – patent, embedded monitoring systems. Stambler v. First Data Corp. (D. Del.) – patent, secure e-commerce. Xcelera Inc. v. Speedera Networks (D. Del.) – patent, content delivery networks. Kurzweil Educational Systems v. Freedom Scientific (D. Mass.) – patent, automatic reading systems. Morton v. The First Years (E.D.Ca.) – patent, infant sleep positioners, summary judgment of no infringement by client, affirmed on appeal. SeaChange International v. nCUBE (D. Del.) – patent, video servers. K2 v. Benetton Group (W.D. Wash.) – patent, in-line skates. V-Formation v. Benetton Group (S.D.N.Y.) – patent, in-line skates. Vicor v. Unitrode (D. Mass.) – patent, DC-DC Power Converters, validity of client’s patent upheld in partial summary judgment and at trial, reported at 130 F.Supp.2d 178. Vicor v. Lucent (D. Mass.) – patent, DC-DC power converters. Frink America v. Champion Road Machinery (N.D.N.Y.) – copyright/trade secret, snow removal equipment, summary judgment and judgment as a matter of law for client on all counts, affirmed on appeal, reported at 62 F.Supp. 679 and 48 F.Supp.2d 198, 2002 WL 1940961. Aearo v. Howard S. Leight (D.Mass.) – patent, ear plugs, summary judgment for client. Harris Corp. v. Siemens G.m.b.H. (E.D.Va.) – patent, semi-conductor memories. Represented defendant in patent litigation involving 26 patents related to semi-conductor memory technologies. Case settled after court granted partial summary judgment of non-infringement and invalidity to defendant. Measurement Techniques, Inc. v. Shiva Corp. (Mass. Superior Court) – trade secret, computer networking. Central Sprinkler v. Grinnell Corp. (E.D.Pa.) – patent, fire safety sprinklers. PC DOCS, Inc. v. R.R. Donnelley (D.Mass.) – trademark, computer software. Hasbro v. Natural Wonders (D.Mass.) – patent, children’s toys. Snowbound v. Visioneer (D.Mass.) – copyright, software. Has provided pre-litigation formal patent opinions in the following technical areas: Internet voice, network multicasting, financial services (business methods), electronic connectors, reflective tape, data bus protocols, and digital video systems. Patent prosecution of primarily computer related inventions, including patents covering Internet and cryptographic technologies.